How much does a glaring act of dissension cost you? A week’s worth of pay. 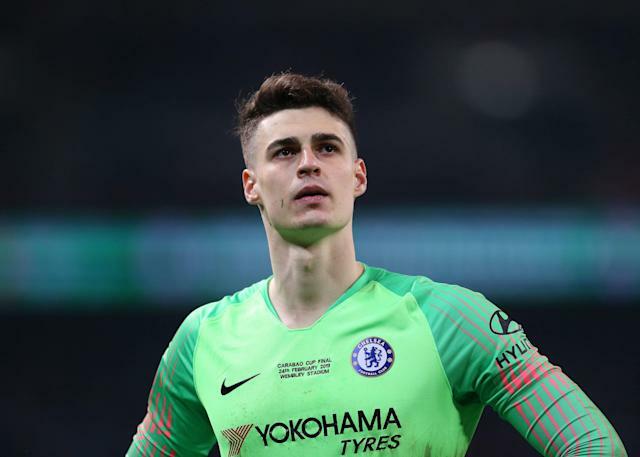 That’s the amount Chelsea fined goalkeeper Kepa Arrizabalaga after he refused to be substituted late in the Blues’ loss to Manchester City in Sunday’s League Cup final, according to a club statement. Kepa, whose $91 million release clause last summer made him the most expensive keeper in history, reportedly makes about £195,000 a week, or $256,000. The club also issued a statement on behalf of manager Maurizio Sarri, who said Kepa apologized to the squad. The punishment seems light compared to the egregiousness of Kepa’s actions, which basically never happen at the highest levels and spawned tons of backlash around the soccer world. The wages will be donated to charity. It remains to be seen if that’s the case. On the outside, a token fine won’t do anything to quiet the reaction.